Join us for an unforgettable break to one of Europe’s most vibrant cities. 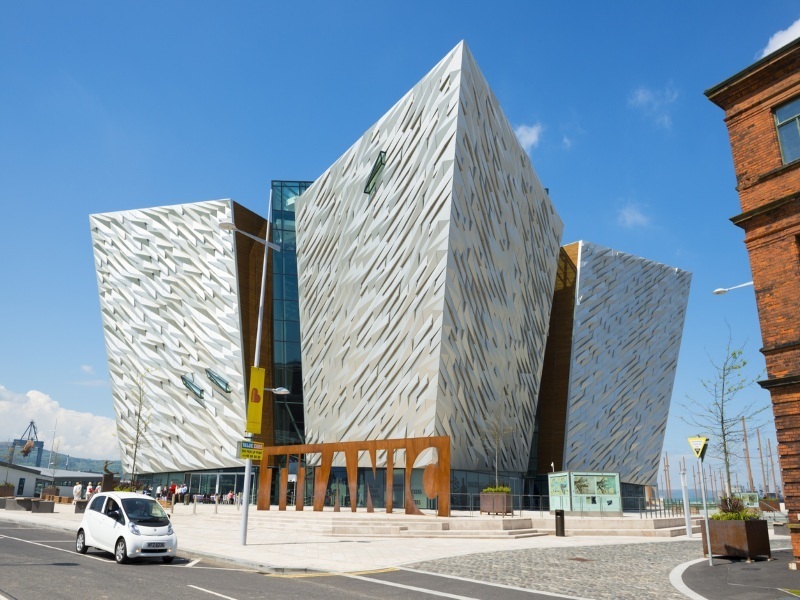 Discover the glorious Antrim coast and the magical Giant’s Causeway on an optional tour, and enjoy an included visit to the extraordinary Titanic Belfast Experience. Recently voted the World’s Leading Tourist Attraction, this fascinating exhibition combines a tribute to the city’s glorious industrial past and a commemoration of the ill-fated liner. Enjoy this morning’s guided tour of Belfast. Discover iconic landmarks such as City Hall, the Peace Wall and the breathtaking Titanic Quarter, before we stop for lunch (payable locally). This afternoon it’s time for the highlight of your break – a visit to Titanic Belfast, which stands on the site where the Titanic was itself built over 100 years ago. As you wander through the nine galleries of the fantastic building, audio-visual presentations, life-size reconstructions and interactive features – as well as a ‘Shipyard Ride’ – will bring to life the dramatic story of the ill-fated ship, from its conception to its rediscovery. After a fascinating visit, spend the rest of the day and the evening at leisure. Explore Belfast, or join today’s optional excursion and head to the scenic Antrim Coast with its fabled Nine Glens. Our first stop will be the extraordinary Giant’s Causeway. A minibus will take visitors to the causeway from the visitor centre (payable locally), though the more energetic can walk the mile or so along the cliff path to be rewarded with breathtaking views. After our visit, we’ll continue east along the coast to bustling Ballycastle and the colour-washed village of Glenarm, before turning inland to Glenariff – the ‘Queen of the Glens’.